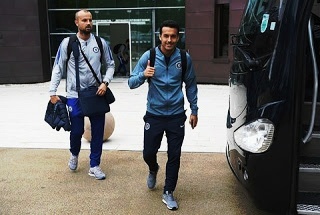 Maurizio Sarri's side have enjoyed a flawless start to the Premier League with five wins from five and now head into Europe's secondary competition looking to continue their fine form. 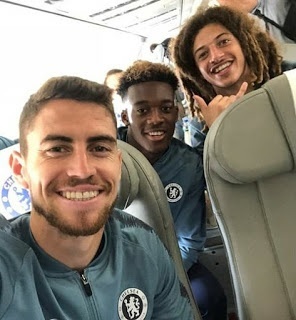 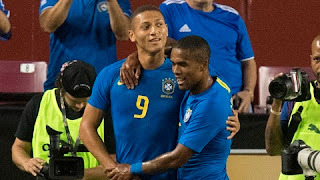 It appears Sarri is taking a strong squad with him to Greece, with Marcos Alonso, Willian and Pedro all pictured boarding the club plane at their Cobham training ground on Wednesday. 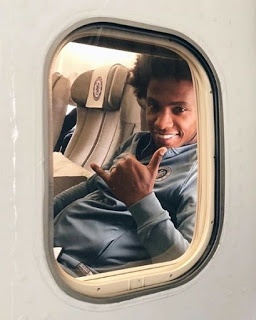 Chelsea shared a picture on their Instagram account of Willian sat by a window seat on the plane with the squad about to take off.